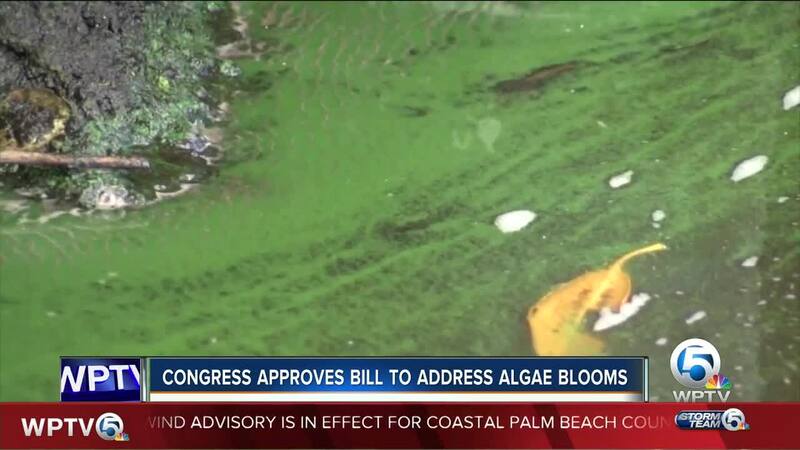 Algae bill passes, sent to the president for his signature. A bill that would help communities affected by algae blooms has been sent to the president for his signature. The bill would authorize NOAA and the Environmental Protection Agency to declare what is called a 'harmful algae bloom of siginificance' when algae has a major impact on the environment, economy of public health. The declaration would make federal funding available to communities impacted by algae. “The federal government, through the Army Corps of Engineers, has played a huge role in perpetuating the human health crisis caused by Lake Okeechobee discharges and they need to take responsibility for the damage by helping to pay for the cleanup,” Rep. Brian Mast said in a statement. “More than that, the government needs to stop prioritizing special interests over human health and put an end to the crisis once and for all."